You don’t go anywhere without a full charge on your cell phone, so why would you go anywhere with uncharged crystals or crystal jewelry? In order to vibrate at their highest capacity, your crystals need to be cleansed and charged. That’s where a Selenite Charging Plate can come in handy. 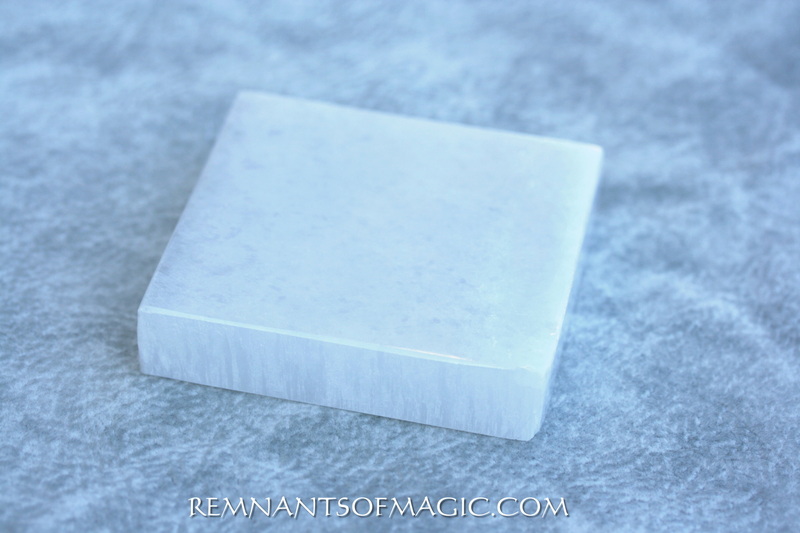 Selenite is unlike any other crystal. It doesn’t need to be charged, and it will amplify the energy of all crystals set upon it. The pure, high vibrational energy of the selenite is like pure white light. It has the ability to cleanse, purify and align you with your highest potential. It shifts your aura and energetic vibration to attune you with a higher energy. Low vibrational energies attract negativity on the same level. Raising your vibration is essential to keeping feelings of grief, fear, anger and anxiety out of your mental and physical space. If you’ve been doing a lot of work with crystals during times of stress or emotional turmoil, don’t forget to release that energy from them using Selenite. Selenite evokes protection from the angelic realm, helping to dispel all negative energy from the body and mind. It is known to bring deep peace and mental clarity. These Selenite Charging Plates and bowls will magnify the energy of anything that is placed upon them. Combine them with other crystals to amplify the desired intention, or try creating a rainbow plate by setting a series of colorful tumbled stones along the tile. Get creative! WHAT DOES IT MEAN WHEN I’M DRAWN TO A SELENITE CHARGING PLATE OR BOWL: When your drawn to a selenite charging plate, it’s likely because either you or your crystals need a thorough stream of cleansing + uplifting vibrations. Is the energy of your stone collection feeling dull? Do your stones not seem to vibrate with the same intensity as they used to? If so, it’s time to purify their energy and get them charged up with a selenite charging plate or bowl. This will get your stones back to vibrating at their full, healing potential. Setting a selenite plate on your desk at work, or your windowsill at home so that you can see the light reflected off the stone, is a great way to keep your energy purified and joyful all day long. 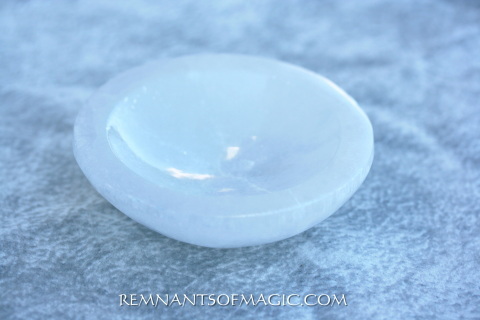 We DO NOT recommend getting them wet - due to Selenite's nature, it will dissolve. This listing is for one Reiki Charged Selenite Charging Plate similar to the one pictured above. This beautiful piece is perfect for creating grids on, charging/cleansing stones, your morning tea or coffee, jewelry, vitamins, and other small items!